Winners of the 2017 Effie UK program were revealed tonight at the annual Awards Ceremony in London. Since 1968, the Effie Awards have honored marketing ideas that work, and now celebrate marketing effectiveness in more than 40 markets globally. This is the second year of the UK competition. All 2017 UK finalists were celebrated at BAFTA in London, with 14 moving on to become winners. MullenLowe London was named the Effie UK Agency of the Year. 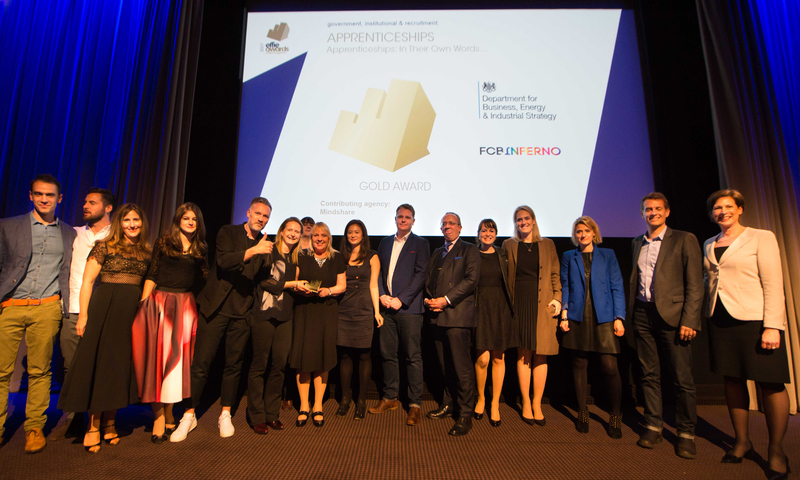 The evening also featured awards for Effie UK’s Most Effective Brand with IKEA taking home this accolade, and Unilever taking the title of Effie UK’s Most Effective Marketer of the Year. These special recognitions are based on a standard point model, which recognizes all companies credited on a finalist or winning campaign. “UK entries were rigorously evaluated by industry leaders over two rounds of judging – a jury which this year featured outstanding diversity. Effie aims to recruit a diverse jury, giving clients, agencies, media, trade bodies an opportunity to be involved in the selection of most effective work – as one of the ways for the industry to keep challenging itself. All the finalists should be extremely proud of their accomplishments,” commented Nina Bibby, Chief Marketing Officer of O2 (Telefonica UK), and Jury Chair for the 2017 Effie Awards UK competition. Insights from this year’s finalist and winning campaigns will be featured in a report produced in partnership with Kantar TNS. The report is scheduled to launch in Q3 2017, coinciding with the launch of the 2018 Effie UK Call for Entry. “In what is now a global marketplace, where UK agencies are increasingly asked to contribute and lead multi-national campaign pitches, the global nature of the Effies gives a unique perspective that no other awards program can match. Tying finalists and winners in the Effie Effectiveness Index which gives recognition on a global scale, the value of the international Effie network can’t be matched. If you want to play on this global stage, then being shortlisted for an Effie is the best demonstration of the excellence of your work,” added Fredrik Borestrom, Agency Development Partner at LinkedIn, and President of the UK Chapter of the International Advertising Association, who helps lead the Effie Awards in the UK. The Awards Ceremony saw the recognition of the 2017 Global Effie finalists and winners. The top-winning Global Effie teams were Airbnb, TBWA\Chiat\Day Los Angeles and Starcom (Chicago) for “Don't Go There, Live There.,” and Always, P&G, Starcom (London) and Leo Burnett/Arc for “Girl Emojis - #LikeAGirl.” The Global Effies also recognized three Silver winners: “Help a child reach 5” by Unilever, Lifebuoy, MullenLowe Group Singapore and MullenLowe Lintas Group India, and “Feed the good” by Pedigree, Mars Petcare Global and BBDO NY, which took home a Silver in both the Multi-Region and Multi-Market tracks. All of the 2017 UK and Global Effie finalists and winners will receive points towards their ranking in the 2018 Global Effie Index. Visit effieuk.org and globaleffie.org for more information.